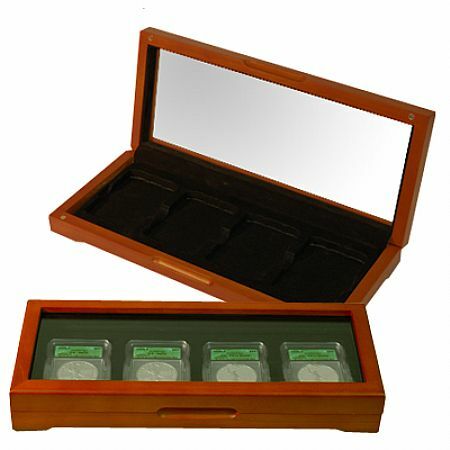 This high quality coin box is the perfect way to showcase 4 coin capsules of great value or beauty. Rectangular cavities are designed to house slabbed coins from any major coin grading company (including ICG, PCI, newer ANACS, PCGS, and NGC). Made of oak with a high quality acrylic lid, this box features a hinged lid and a powerful magnetic closing mechanism. (Coins and capsules not included.) Box has four small feet with felt tips and measures 12" Length x 5" Width x 1" Height. Ornament Trees - Wire Twig 36"